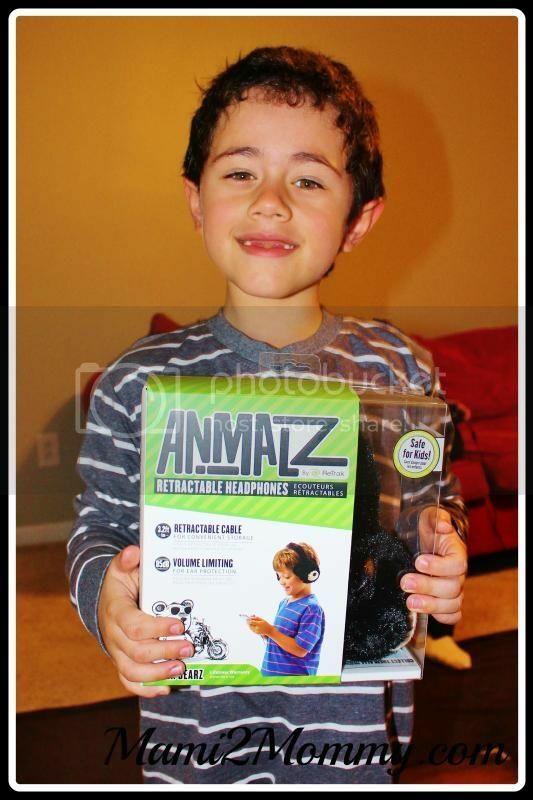 Christmas Giveaway Countdown – Day 2 – With ANiMALZ By ReTrak! With all the travel we have planned for the upcoming year there are always two things I am constantly on the lookout for: a perfect pair of sunglasses that protect our son’s, Shaunsito’s, eyes and an even more perfect set of headphones that keep his ears safe while letting him enjoy his favorite music, movies, apps and books. That’s why we were lucky to find the perfect set of headphones from ANiMALZ by ReTrak. This new tech product for kids is pretty unique. Not only is it fun and lightweight but it’s perfect to take anywhere as a great, furry accessory for family road trips, airplane rides and casual listening. And as a blogger family we take many trips where we can really use something like this. Even better, it is designed for kids with volume-limiting technology (maximum volume is 85 decibals – recommended for protecting developing ears) and a retractable cord for tangle-free travel and storage. I use to always worry about the volume level with some of the other headphones we have used and found myself constantly checking to make sure it wasn’t too loud. Now I can breathe a sigh of relief because ANiMALZ has done the work for me. And because of the retractable cord I no longer find myself getting tripped up even when the headphones are put away. I think it also helps make the cord last longer because it isn’t constantly being pulled at when left out! The cord also comes with a gold-plated 3.5 mm connector that is universally compatible and works with most portable devices. Manufactured with high-quality components, Animalz have a soft fuzzy headband and ear pads with a lightweight design that are comfortable to wear. Built for years of fun, Animalz are backed by a lifetime warranty! Did you hear that? A LIFETIME WARRANTY! That alone is makes it so worth it. But aside from that, our son loved them and had so much fun showing them off. 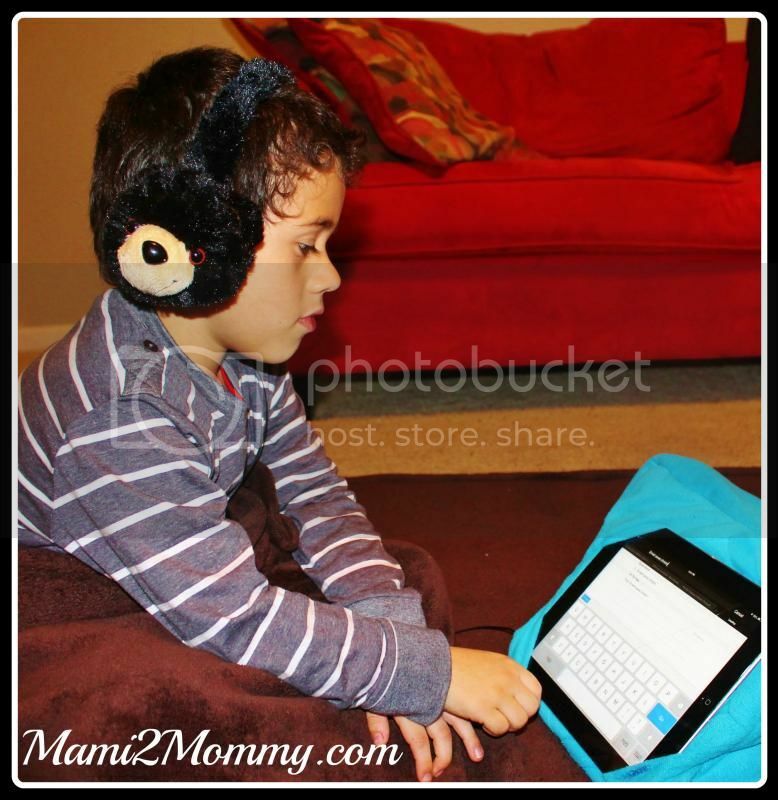 Here he is enjoying his Biker Bearz headphones while on his iPad. It’s perfect for the both of us! ANiMALZ are available in six fun fabric animal designs like Biker Bearz, DJ Panda, Jam Bunneez, Scuba Shark, Skate Monkeez and Surf Dawgz*. *Panda and shark designs are available now at Best Buy and are exclusive to the retailer until March 2015. All other designs can be found at more than 15 U.S. retailers including Amazon.com®, Best Buy® and Toys“R”Us®. Now’s your chance to have a little fun of your own with ANiMALZ By ReTrak! Enter the Rafflecopter Giveaway below to win the Biker Bearz headphones. They want everything they see on TV! But clothes is big on their list.